Generations ago, planning a wedding was 100 percent the bride's job, but in today's age of gender equity, it's a mere 99 percent. Yes, we modern men are more involved than ever, but many of us are still left wondering, "How can I take a more active role in the stress and panic of planning the happiest day of my life?" Gentlemen, you've come to the right guy. Groom Job 1: Plan the Menu. When it comes to cuisine, the crucial question is: cash bar or open bar? Once you've chosen the latter, tackle other meal-related matters. Will you keep your open bar open throughout the reception or for the first hour only? (Hint: throughout the reception.) What about hors d'oeuvres? Will your guests be sipping them through bottles, glasses or cans? Remember, you can't please everyone. Therefore, it's best to inscribe BYOB under RSVP on your wedding invitations. You may also want to consider serving some food. Groom Job 2: Book the Music. Wedding musicians are expensive, so cut costs by asking your groomsmen to lip synch and air guitar to a playlist you'll download from iTunes. Alternatively, you can hire a deejay. 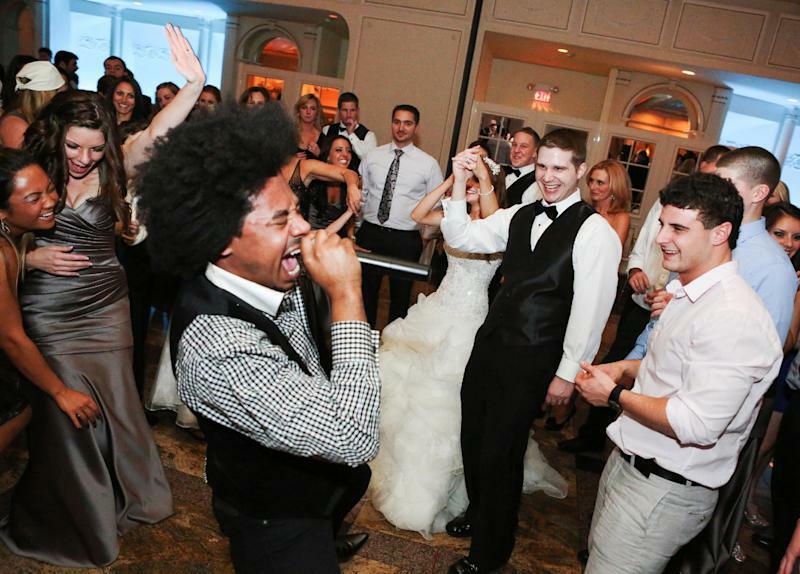 A deejay is an individual who sees your wedding as an opportunity to act out his fantasies of being Eddie Van Halen, Rock God, by dancing in place to all his favorite hits. Remind him that it is your special day, not his. Inform him that the song you've chosen for your first dance isn't actually "Hot For Teacher." Request that he blend into the background, perhaps by streaming his set to the dance floor from his booth in the banquet hall boiler room. Groom Job 3: Manage the Guest List. Tradition dictates that the groom cut everyone off his list to make more room for his bride's list. This is easier than it sounds. Just review all the people on your list and think of one reason not to invite them. Let's start with your best man, "Bob." Remember that time "Bob" borrowed your drill and returned it without recharging the battery? Put a big red slash through "Bob's" name right now. Before you know it, the only one left on your list will be you. To demonstrate what a generous husband you'll be, cut yourself from the list, too. Dude, you'll be spending the rest of your life with your bride. Is it really going to kill you if you're not together on one lousy day? Groom Job 4: Help Register For Gifts. From the male point of view, there are three kinds of gifts: 1. things you already have; 2. things you don't need; and 3. bowls. To help your guests select stuff you actually want, you may be tempted to register at offbeat places like Sports Authority and Home Depot. This is fine as long as you realize that no one's going to get you anything from these places. They are going to get you bowls. So go help your bride pick out punch bowls, bisque bowls, bowls to hold other bowls. If you don't, you'll miss out on the most rewarding groom job of all: returning them for a full cash refund as soon as you get back from your honeymoon. Groom Job 5: Plan the Honeymoon. Choosing a destination typically falls to the man, which explains why many couples are slapped with steep penalty fees upon cancelling their flights to the National Baseball Hall of Fame. Remember, your honeymoon is a time to rest, to recuperate, to experience the phenomenon of everyone being uncharacteristically nice to you. Groom: Excuse me, flight attendant, do you think we can have two peanuts instead of one? Flight Attendant: What does this look like, Chez Panisse? Groom: We are on our honeymoon. Flight Attendant: Right this way to first class, you adorable honeymooners! Do you prefer Moet or Veuve Clicquot with your caviar? Here's to the happy couple! 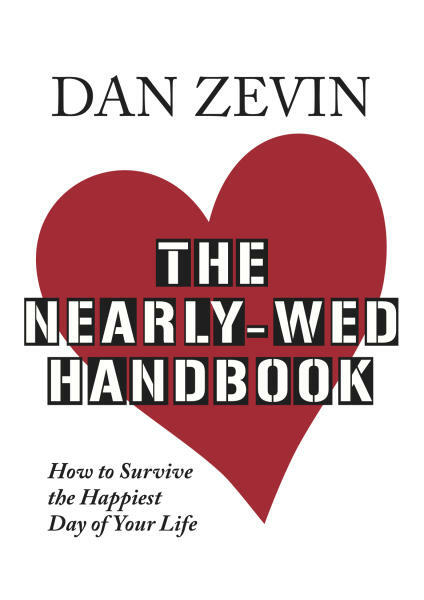 Dan Zevin is the author of "The Nearly-Wed Handbook: How To Survive The Happiest Day of Your Life" (Kindle edition 2013) and "Dan Gets a Minivan" (Scribner, 2013), among other books. The 2013 winner of the Thurber Prize for American Humor, he can be reached at www.DanZevin.com .